No one aspect says more about the level of your home maintenance than the state of your roof but roofing can be an expensive project so you need to choose wisely. You need a roofing solution that will protect your home, increase its value, look stunning, and endure the changing seasons for the longest time possible. 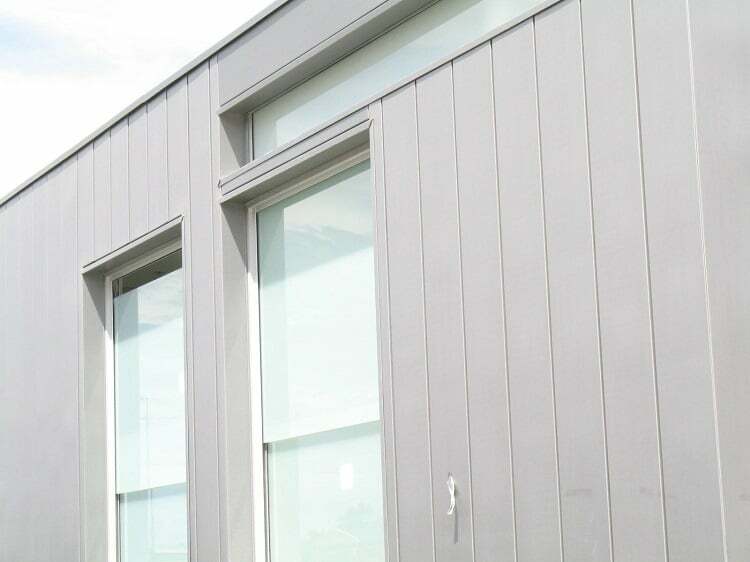 Standing seam panels provide a stunning cladding alternative that combines all the strength of traditional roof profiles with timeless elegance and style. Standing seam panels will add prestige and real street appeal to any home, industrial building or commercial premises. Stunning appearance allied with a range of design possibilities make standing seam an outstanding roofing and cladding product with a structural strength and longevity that far surpasses ordinary metal roofing options. Snaplock and Nail strip are modified versions of the standing seam technique and provide an expanded range of fully customisable alternatives. What Will A Standing Seam Roof Do For Me? Standing seam roofing has so many advantages over ordinary metal roofing but let’s look at just some of the ways it could add real value and pleasure to your home or business. Image is all important today and people make many assumptions based on the state of your home. It’s amazing just how much a new roof can lift your home’s image. But standing seam is so much more than just a new roof; its strongly defined lines and seamless elegant finish will upgrade the appearance of even the most tired house. Just like upgrading to a better car the superior quality of standing seam roofing will instantly lift your home into one of the better homes on the street. Feel the satisfaction as family, friends, visiting work colleagues, neighbours, and even passersby on the street find a new respect for you and your treasured home. It’s called ‘street appeal’ and few renovation projects will do more for your home’s street appeal than an upgrade to standing seam panels. The importance of image equally applies to your business. Customers read a lot about your business before they have even walked through the door. Make those first impressions count with a super smart standing seam roof. Elegance, professionalism, clarity—all these things and more—that’s what standing seam roofing says about you. Thanks to its outstanding tough long-lasting qualities a new standing seam roof will retain its new appearance for much longer than other roofing solutions and protecting your . Standing seam panels are renowned for the strength and hard-wearing endurance in the face of Australia’s harshest climate challenges. Exceptional weatherproof design makes standing seam one of the toughest roofing solutions on the market. Zinc and copper enhance the anti-corrosion properties of standing seam panels making them a perfect choice for coastal buildings exposed to salt. Put up a standing seam roof and forget it—minimal maintenance and long-life equals confidence and peace of mind. Remember too; with a new roof you may even get a reduction on your insurance premiums. Unleash your creativity with the versatility of standing Seam panels. Their ability to be used for any roof or wall configuration allows you to revolutionise the appearance of your home or business. Imagine incorporating angled, curved, domed, or conical possibilities into your architectural vision. The strong lines create a stark fusion of modernity with a hint of traditional roofing to add stunning contrast to your vision. The three variants of standing seam expand your options for both roofing and wall claddings. A choice of 25 or 38mm ridges, pan sizes, and panel lengths gives you some great options. Long-run panels allow you to create extended seamless roof lines. Panels simply snap together meaning installation is fast and straightforward. Snaplock panels are the perfect compromise between the expansive long-line profile of standing seam and the convenience of nail strip. Super fast installation; nail or screw directly on to framing without clips or crimping. Visit the friendly experts at ARC and discover the benefits of Standing seam, Snaplock and Nail strip– the ultimate metal roofing solutions for your needs.